He was born in Zaragoza (Spain). He graduated in french horn and has a master’s degree from the Maastricht Conservatory (Netherlands) with Professors Erich Penzel and W. Bessems. He began his professional life in the Essen Philharmonic Orchestra (Germany), performing afterwards with the Bochum Symphony Orchestra (Germany), Flemish Radio Orchestra (Belgium), Madeira Classical Orchestra (Portugal) and Zaragoza Enigma Orchestra (Spain). Since 1998 Pablo has a degree in economics and bussines studies by the University of Zaragoza (Spain). 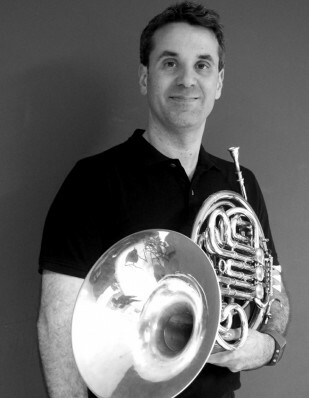 Since 2004 he is french horn teacher in Alcañiz Music Conservatory (Spain), being also the headmaster of the school. Pablo is one of the mentors of the International Horn Academy and Festival of Aragon (IHAFA) from its creation in 2009. From 2010 to 2012 he was the coordinator of the European Program Grundtvig, being partner with the Musikhochschule “Hanns Eisler” of Berlin (Germany) and Conservatorium Maastricht (Netherlands). Under Pablo’s direction, the success of IHAFA results has motivated the creation of the Mentoring Music Matters project, MMM, the implementation in other instruments of the main objective of IHAFA: to provide guide and advice to music students and families in their professional and personal future.